I’m interrupting the Northern Journey travel log series for a little update on what’s been happening on the domestic side chez nous, where at this particular moment in time it’s REALLY cold outside. I just finished Fredrik Backman’s Britt-Marie Was Here. The man is a genius. That’s all. I’ll let you know what’s up next. If you haven’t read A Man Called Ove or My Grandmother Asked Me to Tell You She’s Sorry, put those on your list, too. I made Louisa Clement’s French Canadian Pancakes for breakfast this morning. I used 2% milk (what I had on hand) and halved the sugar and salt. There’s no vanilla in this recipe, but I think I know why: no other flavor should interfere with the taste of the maple syrup. And, like seafood, the farther north its course, the better the syrup tastes. Delectable. Judicious retail therapy is a decent antidote against that caged-in feeling you get this time of the year. We took advantage of post-holiday sales to add a few pieces to our winter wardrobes. The L L Bean Henley is my current favorite casual shirt—I rotated four of them on our trip up north in the fall. Hubby bought a few things for himself and encouraged me to add two cotton Rugbys that will be nice for the spring transition. I did my part by culling the closet again and filling a bag to give away. This has been a January-specific habit of mine since—well, forever. I have to assume that Marie Kondo would be proud. Our prefinished hardwood floors—basically the only choice when we built this house—are a nightmare to keep clean. Over the last five years, I have tried everything from Bono (the manufacturer’s recommendation, along with don’t use water, don’t use vinegar, don’t use Murphy’s Oil) to a Norwex mop to three or four other floor products. Nothing worked. I’d resorted to a solution of a popular organic all-purpose cleaner diluted with water, and that was useless, too. There had to be another way. And since everything I’d used to date hadn’t made an appreciable difference, I didn’t have much to lose. I did an online search for “homemade floor cleaner” and found a homemade formula that sounded promising. Clean as a whistle and luster restored. The ultimate test was the kitchen, where the floor takes the most abuse. I did have lavender oil on hand, so I used five drops. I did the job on hands and knees, in sections, and dried with a clean terry towel as I went along. And guess what? Shiny clean and not at all dull. The recipe indicates that you can also fill a spray bottle and use with a mop, which would be great for a quick refresh or touch-ups. I’ll try that next time. Tip: our floor is high-gloss. The success of this mixture might depend on how your own floor is finished. Do a test in a corner first to make sure it isn’t dulling. Just mix it all up in a bucket and apply with a well-wrung out soft cloth (never soak a wood floor), then dry with a second cloth. Old washcloths or those cheap terrycloth “bar towels” are great for this purpose. Or store in a spray bottle and mop, in which case you needn’t worry about drying. This formula is reported to work on any type of floor. 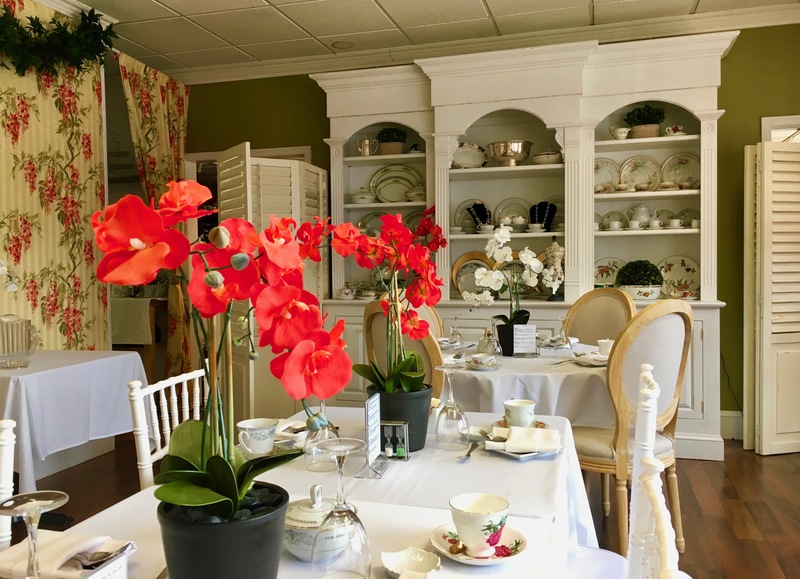 We went out for a proper tea, at a proper teahouse… A Tea Affair in Lititz, PA. If you’re in the area, it’s a must, but do make a reservation. Lemon and poppyseed scones with lemon curd and clotted cream. Note: I have typically included Amazon links for books because it’s easy and because everyone, including me, uses Amazon. You can make up your own mind about where you buy your books, of course, but I am thinking more and more that it’s good to support the “little guy.” I could never tally up the hours of pleasure I’ve logged roaming through independent bookstores, so I’ve decided to link to indiebound.org instead. I am so glad that you loved A Tea Affair! 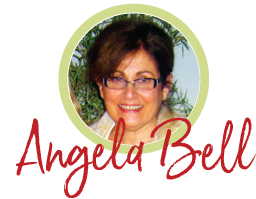 My dear friend Alice Pepper is the owner. Isn’t it charming? Bobbie, tea is one of our very favorite things to do. Please tell Alice that it is perfect! Angela, your table looks stunning and the orchids are lovely. Wood floors, I feel your pain. Over this way wall to wall carpet is rare (which I’m OK with) so we’re all wood floors except for slate tile floors in the kitchen. I’ll be giving your cleaning tip a try. I’d say 90% of my clothing and 100% of our bedding is LL Bean. We just got a shipment this past week. It cost about 50% more (freight, customs and VAT) to have it shipped internationally but worth it. LL Bean Henleys, I’m wearing a grey one as I write. Full disclosure: that gorgeous table is at the tearoom! I didn’t realize that Bean sells internationally. We love visiting Freeport, and the company has been so good to Maine. Thanks for the chat! Angela. What a beautiful description of all the things you love. Continue. Je vous en prie et pour vous, la meme chose!